Are You Building a Lifestyle Business or a Wealth Generating Asset You Want a Return on Investment From? If you have a growing business, you have a potential asset that might fetch a handsome price, one day. What’s the probability of this outcome? 10%, according to the latest statistics. How come? 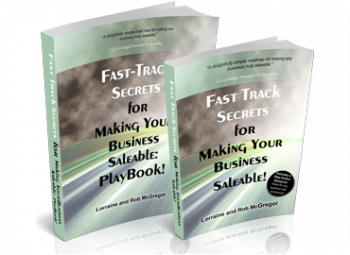 Most companies, unbeknownst to the owner, are run as lifestyle businesses, even those earning millions of dollars in sales… It means they are not easily transferrable to another owner. 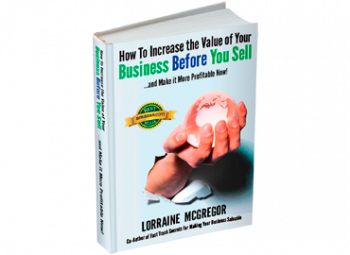 What will increase the chances of your business becoming the 1 out of 10 that will be able to sell? Knowing the difference between leading a lifestyle business and a wealth generating asset… and choosing the destination you really want now. How you steer a wealth generating asset is quite different than how you operate a lifestyle business. You can learn how to evaluate if this strategy is for you at our next webinar. Register here. Your company direction, how you make decisions, hiring strategies, product and marketing innovation, financial management and reporting must shift to make the transition from Lifestyle to Wealth Generating Asset. Every business owner needs to answer this question “Should I turn my lifestyle business (most companies) into a wealth-generating asset?”, long before ideas about selling, transferring, succession, or exiting are explored. And long before you become too tired to do anything about it. How come? The answer to this question will shape the strategic direction you take your company, how much freedom you have and how much money results from all your efforts. In simple terms, you want clarity about which option is best for you and your company, your legacy and your employees, because you are the primary investor in your company. Think about your situation this way: If you were an Angel Investor funding this company of yours, you would be deeply concerned you could get an ROI. How this would happen and when it would happen would be top of your mind as major criteria before you would bet your hard earned cash on an entrepreneur. In fact, these days, equity investors (people who invest to get shares in a company as opposed to lending money to the company) want more than a 30% return on their money in a defined period of time. Putting up $1 million? The savvy investor wants $3 million back in 3-5 years… or more, in return for taking this big risk. The longer you have to wait for it, the higher the risk. So, you own a business. You are it’s primary investor. What kind of return on investment do you think this risk should give you? Yes, it’s easy to answer that question. You want as much as possible. But to answer this question and deliver that 30%+ ROI, you will want to understand the difference between a Lifestyle business and a Wealth Generating asset. Not every business owner wants that kind of return. They are happy with the job and the salaried income their Lifestyle Business affords them. Is that you? Sorry to stick the pin in your balloon. These assumptions will leave you without a return on your investment. Here’s the truth about the ‘offers to buy your business’, that should give you a big wake up call. You know that you have to make a decision at least two years before you want to exit and ideally long before about transforming your business into a wealth generating asset. So what’s the right direction for you? Join us for an enlightening webinar on how to think though this life-changing and potentially prosperous opportunity so that you know for sure that transitioning from a lifestyle business to a wealth generating business is your best bet. 1. 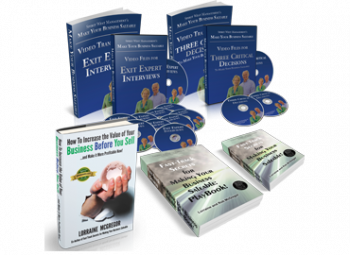 My business generates more than $700,000 per year in revenues. 2. My company operates in an industry that continues to grow. 3. If my company had to close it’s doors, I would not have enough saved to live on. 4. If my company had to close it’s doors, it would put more than 10 employees out of work. 5. I want my company to continue to thrive and contribute to the economy even if I’m not leading the business anymore. 6. Our customers/clients keep coming back to buy from us again and again. 7. I want more personal freedom so I don’t have to be at work day in and day out for the business to function. 8. I want certainty that me and my family will have financial security. 9. There is more that I want to do in the world beyond leading this business. 10. I believe in getting a return on my investment in the assets (stocks, bonds, real estate) that I put my money into. My business should be no different. If you answered yes to more than 5 of these questions, then this is the event you need so you make the right decision… and it’s the smallest investment you can make in your future and still expect results… that ROI!